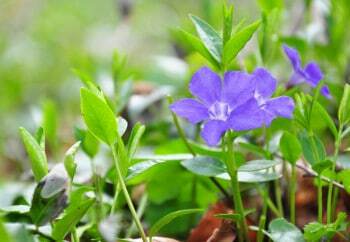 Vinpocetine is derived from the lesser periwinkle plant. Vinpocetine is a nootropic supplement derived from vincamine, which in turn is extracted from the lesser periwinkle plant. Vinpocetine is available throughout the world as a supplement, but in Europe it is actually marketed as a pharmaceutical under the trade name Cavinton. It increases cerebral blood flow and has several neuroprotective effects in patients with cerebrovascular disease and cognitive decline, among other conditions. But can it help improve brain function in healthy adults? 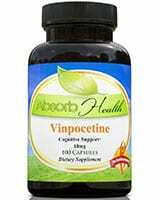 >> Looking to Buy Vinpocetine? Click here to see our recommended sellers. Vinpocetine has been shown to inhibit sodium channels in nerve endings. This alters sodium and calcium concentrations, which blocks excessive nerve excitation and thereby reduces damage to neurons in cases of cerebral ischaemia. Vinpocetine also inhibits the enzyme phosphodiesterase, which metabolises an intracellular signalling molecule called cyclic GMP. The resulting increase in cGMP has the effect of relaxing the blood vessels in the brain and therefore increasing cerebral blood flow and oxygenation. Indeed, a 2010 study of 4865 patients with chronic cerebrovascular insufficiency showed significant decreases in both patient complaints and severity of neurological symptoms after treatment with vinpocetine at 30 mg per day for 90 days. 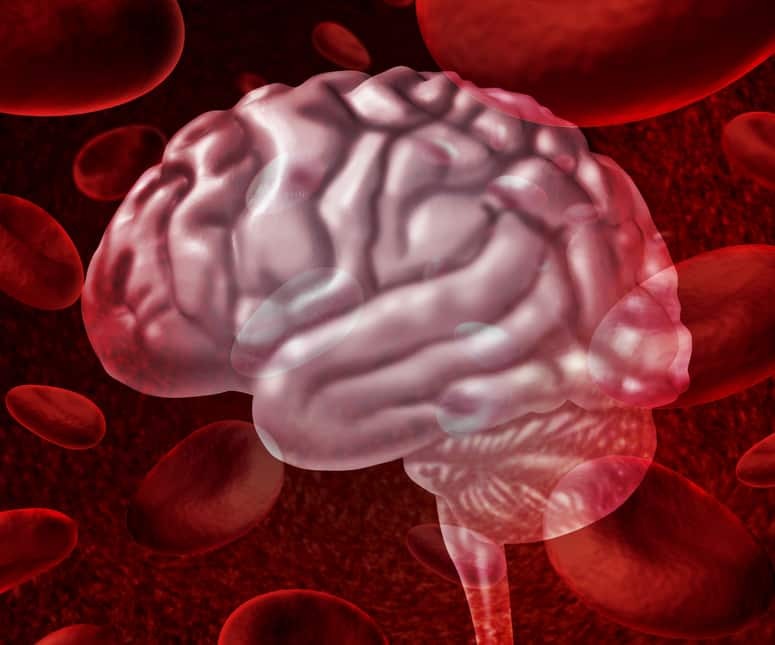 A second study of 20 patients specifically examined its therapeutic effects on the initial signs of cerebrovascular disease and found beneficial effects on self-rated health, activity and mood and performance on neuropsychological tests. A 2005 study showed that multiple-stroke patients treated with vinpocetine showed no neurological decline after three months, whereas those that received a placebo did. These studies made a great contribution to our knowledge base, as a 2003 review determined that research on the use of vinpocetine in cognitive decline up to that point had been inconclusive. 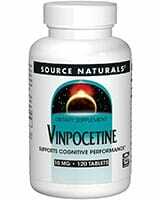 Vinpocetine increases blood flow to the brain. Vinpocetine has also been shown to have many anti-inflammatory effects. It inhibits expression, activation and upregulation of a wide range of proinflammatory molecules in vascular smooth muscle cells, endothelial cells, macrophages, and epithelial cells among other cell types. Further, it inhibits monocyte adhesion and chemotaxis, which contribute significantly to inflammation, and has potent antioxidant activity. Since inflammation in the brain can be associated with neuronal death in Parkinson’s disease and Alzheimer’s disease, some researchers have considered that it may be useful to test its efficacy in reducing the symptoms of these conditions. In rats, vinpocetine has shown promise as a potential anticonvulsant treatment. An in vitro study in which nerve endings were exposed to a convulsant agent showed that vinpocetine was more effective in inhibiting harmful glutamate release than many existing anticonvulsant drugs. Vinpocetine has been studied in the treatment of ear trauma resulting in hearing loss or tinnitus, resulting in clinical improvement in 79% and 66% of patients respectively. It has also given good results as a treatment for Meniere’s disease and vision problems resulting from arteriosclerosis. Anecdotally, vinpocetine has been used by bodybuilders as a vasodilator and performance enhancer, but there is no convincing evidence to support this application. A 1980 study measured cerebral blood flow in six healthy male subjects receiving 20 mg vinpocetine intravenously at 0, 10 and 20 minutes after the infusion. The procedure was repeated once a week for three weeks and on each occasion there was a small increase in cerebral blood flow, but it was not statistically significant. 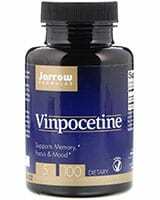 High doses of vinpocetine improve some aspects of memory. A 1985 study of 12 healthy females treated with vinpocetine three times daily showed significantly improved results on the Sternberg Memory Scanning Test, which measures the serial comparison stage of the reaction process. 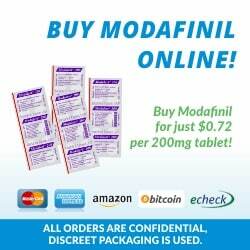 The effect was greater for doses of 40 mg than 20 or 10 mg. However, other tests of memory function showed no improvements, suggesting a localised effect on memory. This is in keeping with studies that show that vinpocetine is preferentially distributed in certain areas of the brain. In one study the highest concentrations were observed in the thalamus, upper brainstem, striatum and cortex, while in another it was the thalamus, basal ganglia and visual cortex. In rats, vinpocetine increased activity in noradrenergic neurons of the locus coeruleus, which is known to be associated with memory encoding. Further, rats showed improved performance on tests of memory retrieval 60 minutes after administration of vinpocetine. Unfortunately, there has been very little research investigating the effects of vinpocetine on mental function in healthy individuals in recent years. Administration: Oral administration with food results in 60–100% absorption, reaching peak levels in the brain after about an hour and a half. Safety: appears to be mostly safe even up to doses of 20 mg three times daily, but there is one report of vinpocetine causing agranulocytosis, a condition in which numbers of certain types of white blood cell (agranulocytes) are reduced, and one report of contact dermatitis. Safety in pregnant or lactating women is not known. Side effects: rare but may include headaches, rashes or gastrointestinal upset. Commission E, the German food and drug administration, has warned that it may adversely affect immune function. Vinpocetine causes increases in neuronal DOPAC, a metabolic breakdown product of dopamine, which could be associated with depression. However, this has not been clinically documented. Interactions: appears to be safe to take with most other medications, though it decreases platelet function so may have an additive effect with blood thinners. Do these need a doctor’s prescription? Are there negative side effects in the long-run? My memory has gotten really bad lately. One cause is my lack of sleep. I barely get enough sleep because of my anxiety and insomnia.